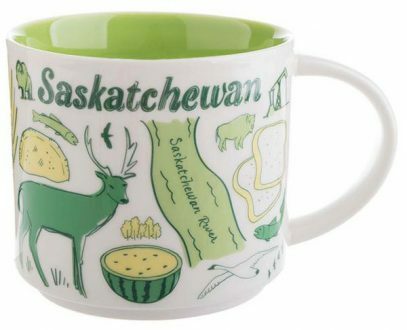 Starbucks Been There Saskatchewan mug could be a rare find. I don’t see that many Starbucks stores there and it is pretty remote Province. If you have friends or relatives there who’s willing to help, it is time to make sure their contact information is up-to-date. You still have to wait till the official release, since this is only the preview and not real pictures from stores.